You don’t have to be “into” cemeteries to appreciate this one. One of the oldest in in Boston, it is the final resting place of many revolutionary heroes. 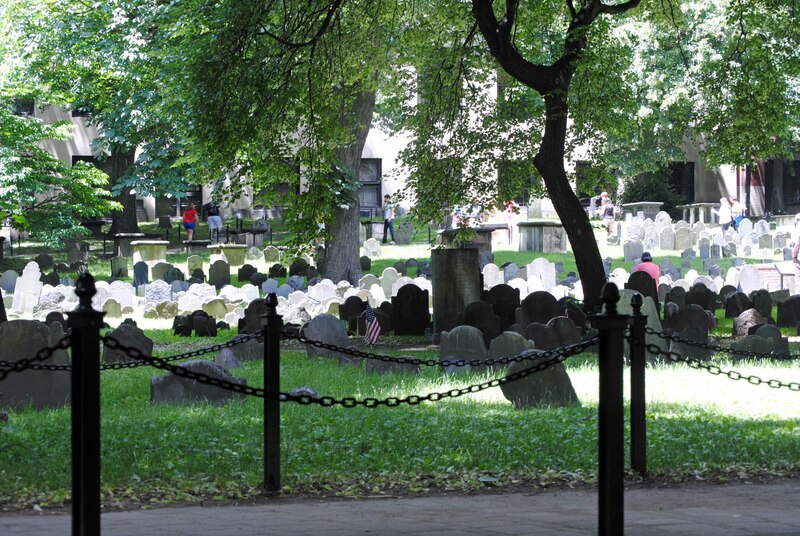 Founded in 1660 you can find the graves of 3 signers of the Declaration of Independence, Paul Revere and the 5 victims of the Boston Massacre. Some even say Mother Goose is buried here!